Sweet and sour pork is a dish that originated in China. It is a popular dish also in North America and Europe. Sweet and sour in some places in China use the sauce as a dipping for meat and fish, rather than in cooking. However, the Cantonese style of sweet and sour pork cooked the meat then the sauce added to frying pan before serving. Traditionally, sweet and sour sauces are made from mixing honey or sugar with soy sauces, vinegar, cloves, ginger and other spices. Tomato paste is rarely used in Chinese cooking. In fact, the use of tomato paste in sweet and sour pork is restricted to western style cooking. In western countries, Chinese restaurants commonly serve sweet and sour pork, shrimp or chicken. The meat is battered then deep fried and serve with the sauce poured over it. The sweet and sour sauce is also cooked with onions, green peppers and pineapple. 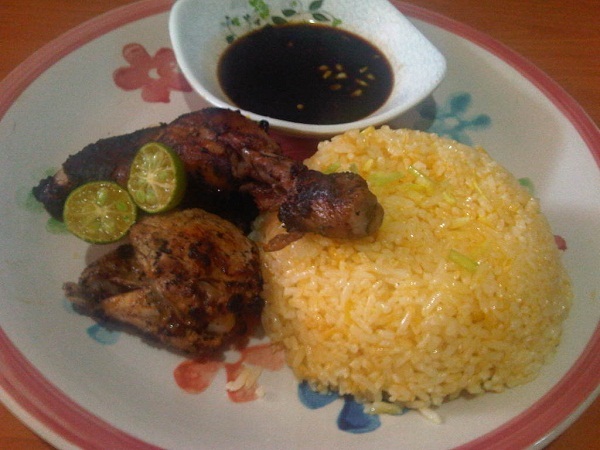 In the Philippines, sweet and sour pork is made the same way. The meats also battered and deep fried then serve with the sweet and sour sauces. 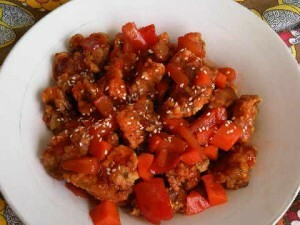 My sweet and sour pork recipe is an example of western cooking of this dish. The meat is sliced into bite size pieces then marinated and dredged in cornstarch or flour and deep dried until crisp. The sweet and sour sauce is made from vinegar, soy sauce, ketchup, etc. I also used veggies such as carrots, onions and bell peppers to this dish colorful and pleasing to the eyes. It is safe to say that my sweet and sour pork recipe is easy to do yet; it carries an authentic taste – a taste that all lovers of sweet and sour pork dish find appealing. 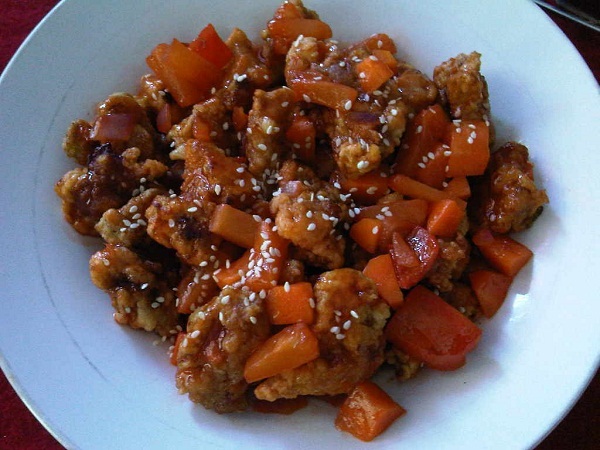 Sweet and sour pork is best eaten with steamed rice or whatever you like, it is up to you. 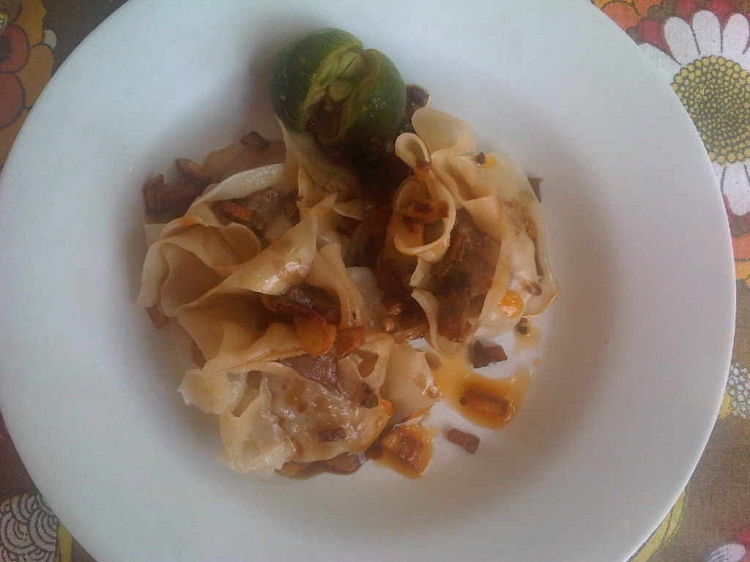 Anyway, give this recipe a try and when you do, please let me know what think of the recipe. In a medium size bowl, place the sliced pork then pour soy sauce all over the meat. Leave for 30 minutes to marinade. Dredge the pork in flour then dip in beaten egg and cornstarch. In large frying pan, heat oil. Deep fry the meat for 10 minutes or until golden brown. Set aside the cooked meat. Transfer to the serving dish then pour the sweet and sour sauce all over the fried pork. In a medium size wok, heat oil then sauté the onions, carrots, pineapple and bell pepper for 4 minutes. Set aside. In saucepan, combine the vinegar, soy sauce, ketchup, pineapple juice and water. Simmer for 2 minutes. Add cornstarch to thicken the sauce if necessary. Serve the sweet and sour sauce with the pork.